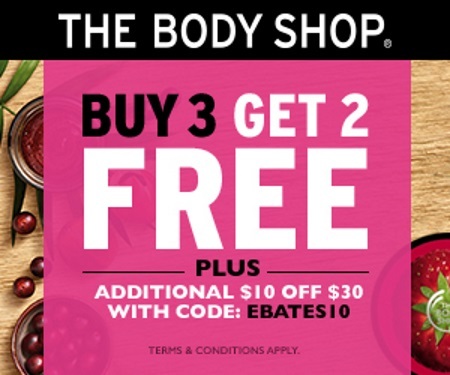 The Body Shop has a hot deal on now! Pick 3 items and get 2 Free items! Plus save an extra $10 off any $30 order with the promo code below! Enter the promo code EBATES10 to get the discount. Offer is valid for a limited time only.